Even meteorologists can't accurately predict what Nature will do, and that's their job. When it comes to weather, you have to be ready for anything...because Nature will keep you on your toes. 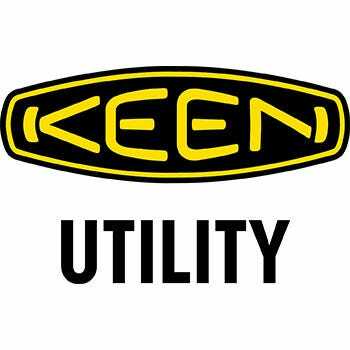 Keep yourself in these men's KEEN Utility 1009709 Pittsburgh waterproof ... (see full details) (see specifications) #KEN1009709. Even meteorologists can't accurately predict what Nature will do, and that's their job. When it comes to weather, you have to be ready for anything...because Nature will keep you on your toes. Keep yourself in these men's KEEN Utility 1009709 Pittsburgh waterproof hikers, and you'll keep your feet dry, comfortable, and ready for anything…in spite of the weather. You can't plan ahead for everything, but you can make good decisions. You want to look well-dressed and professional, and these shoes have style. You also want to feel that way, so this footwear has been made with Nubuck leather. This soft leather feels like fuzzy suede, but it performs like tough full-grain leather. Nubuck is bendable, movable, stretchable - and waterproof. It resists the elements, so you don't even have to think about the weather while working in these Pittsburgh boots. Black and orange accents add detail to the brown leather. Reflective webbing adds high-visibility detail to increase your safety in low light conditions while you're wearing these men's workwear. Locking metal hooks and lacing eyelets complete the stylish, ankle-high upper design. Use the pull tabs at the back to get these shoes on and off, and you're ready to go. KEEN.Dry waterproof membranes were added to give you a second layer of moisture protection. The membranes of these brown boots are breathable, releasing heat to keep your feet cooler and less sweaty. Remove the dual-density EVA footbeds when you want to give them a cleaning. Two layers of soft foam give your feet shock-resistant cushioning while wearing this footwear. The footbeds are crafted in a Metatomical design that matches the curves of your feet for all-over softness and support. Two more layers of softness are added in the midsole layer, also manufactured with dual-density EVA foam. The compression-molded foam was combined with impact-absorbent polyurethane. The PU is lighter than rubber, and it absorbs, even more, force while you're wearing these leather boots. Two-zone comfort technology works two ways to keep your feet dry and protect you from sweat. The hydrophobic/hydrophilic material both absorbs and repels moisture. Full-length interlocking torsion plates, designed with TPU, help your steps stay stable while wearing this KEEN Utility footwear. Thermoplastic urethane is light and durable and not made with metal that might conduct electricity. EVA heel cushioning adds a light core of impact-absorption right in the strike zone. Non-marking rubber soles complete the tough design in these premium shoes. The shock-resistant rubber is slip-resistant to give you traction even on slick or icy surfaces. Oil-resistance protects the tread from corrosive chemicals. The soles are also rated to meet ASTM F2892-11 EH safety standards. They absorb dangerous electricity so your body doesn't. You can't predict what's going to happen, but you can wear these KEEN Utility 1009709 waterproof hiking boots...and be prepared for anything. Order yours online from the Working Person's Store today. 116 out of 117 people found this product review helpful. I own several Keen boots and these Pittsburgh boots are hands down one of the BEST pairs of hiking boots I have ever owned. Being waterproof is half the battle when it comes to a pair of boots. The leather is already naturally waterproof, but Keen provides another "Keen Dry" membrane for extra protection. The footbeds conform to your feet for a custom fit. They fit true to size and you can literally takes them right out of the box and go. The only thing I have to do to these is oil them about 1 time a year and they look and are the most comfortable boot in the closet. Seriously comfortable Hikers! You can literally wear these right out of the box with no break in time needed. And that's just what I did. After reading another review on these about how comfortable these were, I bought a pair and put them on right when they arrived. NO JOKE. After 2-3 minutes, these boots felt like I have worn them for weeks. Of course the initial wear is a little stiff due to new leather, but it's the footbed in these boots that makes all the difference. They literally conform to your foot for a custom fit. The lugs offer great traction plus the entire boot is waterproof. The best Waterproof hikers on the market, hands down. Hands down best boot I've ever had. I am a surveyor and walk through woods, on beaches, and on pavement for 10 hours a day and these have maintained there waterproofing and are extremely comfortable. I've had them for 3 years and they are just starting to show signs of wear on the soles. Worth the price. 8 " high Detroit style that I loved right out of the box... Best boot ever!!!! I purchased the Pittsburgh and they were not as comfortable and the 6" high was uncomfortable compared to the 8" Detroit. I am using them for after work activities and waiting on another new style the Mt Vernon to arrive. Hopefully they will be more suitable for work. Also they now have the Detroit 8" but only with steel toe. Purchased them and there not quite the same, they run a little bigger so next pair will be 1/2 size smaller. And steel toe isn't that noticeable. Still feel good out of the box! I would recommend these Keen Utility Hikers for work and play. I have worn mine for about a year now and they seem to get more comfortable the more you wear them. I spent three days in the mountains recently and experienced afternoon rains every day and my feet never got wet. For the price they are a good choice. KEEN Utility 1009709 Men's Pittsburgh Hiking Boots is being added to your cart.